With Cameras poised, coachloads of visitors flock to capture a piece of history at the Auschwitz-Birkenau Memorial in Poland. Roger Cremers spent a week at the former concentration camp, photographing the sometimes awkward appearance of visitors. For all its dark history, Auschwitz has become a tourist attraction. 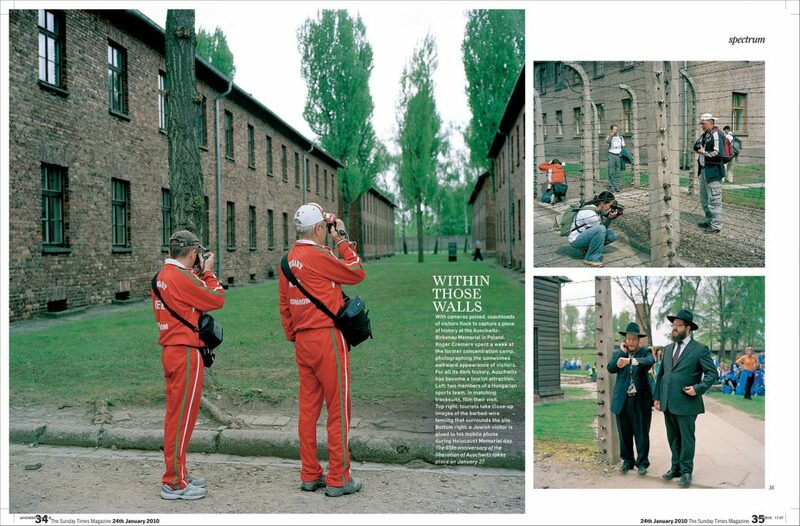 Left: two members of a Hungarian sports team, in matching tracksuits, film their visit. Top-right: tourists take close-up images of the barbed-wire fencing that surrounds the site. Bottom right: A Jewish visitors is glued to his mobile phone during the Holocaust Memorial day. The 65th anniversary of the liberation of Auschwitz take place on January 27.